According to the traditions, Easter Sunday is celebrated by taking part in an Easter vigil, lighting a new fire outside the church early on Sunday morning. Another custom involves lighting the Paschal candle and decorating it with studs to celebrate Christ's wounds. Chanting of the easter proclamation, reading the old testament, singing hymns and wishing happy Easter Day are other characteristics of the celebration. Relatively newer elements such as the Easter Bunny and Easter egg hunts have become part of the holiday's modern celebrations, and those aspects are often celebrated by many Christians and non-Christians alike. The Easter Bunny, which is a counterpart to the Santa Claus of Christmas, brings gifts, a basket of colored eggs, to children on the night before the celebration. 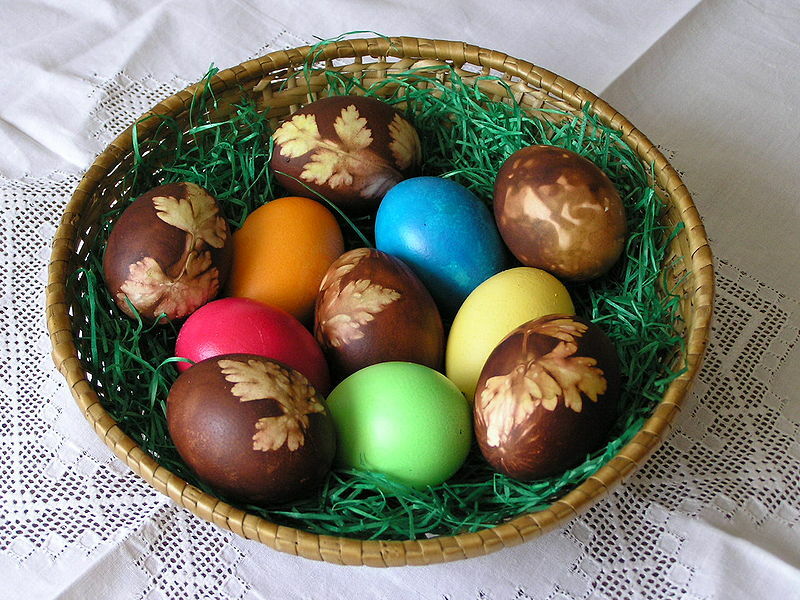 Easter eggs used to be painted chicken eggs, but a modern custom is to substitute chocolate eggs, or plastic eggs filled with confectionery such as jelly beans. These eggs are often hidden, allegedly by the Easter Bunny, for children to find on Easter morning. Easter Day is celebrated on a fixed date. The custom of Easter vigil involves lighting fire indoor. Easter Bunny and Easter Eggs are very old customs. Easter Bunny on Easter Day is very much like Santa Claus on Christmas.